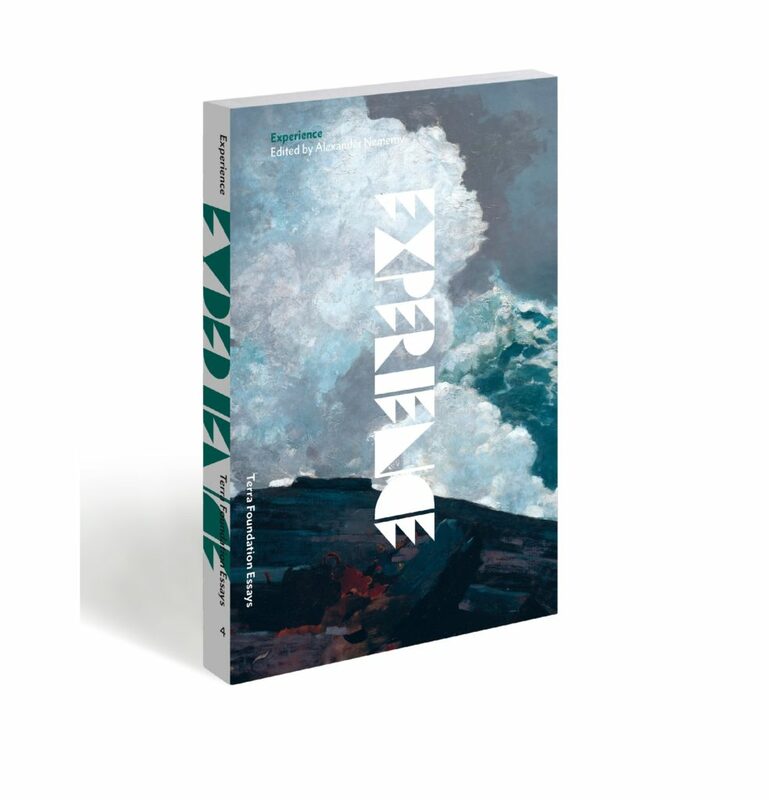 Experience, the fourth volume in the Terra Foundation Essays series, considers how, throughout different periods in US history, the viewer’s sensuous encounter with a work may construct its meaning and reception. Circulation, the third volume in the Terra Foundation Essays series, seeks to map out some of the many planes and directions in which American art works and pictures have existed and produced meaning by moving. Scale, the second volume in the Terra Foundation Essays series, showcases the new forms of historical and theoretical awareness that a focus on the subject can bring to the study of American art history. The Terra Foundation Essays series provides an international forum for the thorough and sustained exploration of fundamental ideas and concepts that have shaped American art and culture over time. Exploring and illuminating a selection of ideas that have been particularly salient within the production and consumption of art in the United States over three centuries, the Terra Foundation Essays present original research by an international roster of established and emerging scholars who consider American art in its multiple, trans-geographic contexts. The essays in each volume expand the conceptual and methodological terrain of scholarship on American art, offering comparative models and conceptual tools relevant to all scholars of art history and visual culture, as well as other disciplines within the humanities. Rachael Z. DeLue (Princeton University) serves as series editor for the Terra Foundation Essays. She specializes in the history of American art and visual culture, with particular focus on landscape representation, intersections between art and science, and the visual culture of race and race relations in the United States. The Terra Foundation Essays are published by the Terra Foundation for American Art and distributed by University of Chicago Press. The history of American art is a history of objects, but it is also a history of ideas about how we create and consume these objects. As Picturing convincingly shows, the critical tradition in American art has given rise to profound thinking about the nature and capacity of images and formed responses to some of the most pressing problems of picturing: What is an image, and why make one? What do images do? 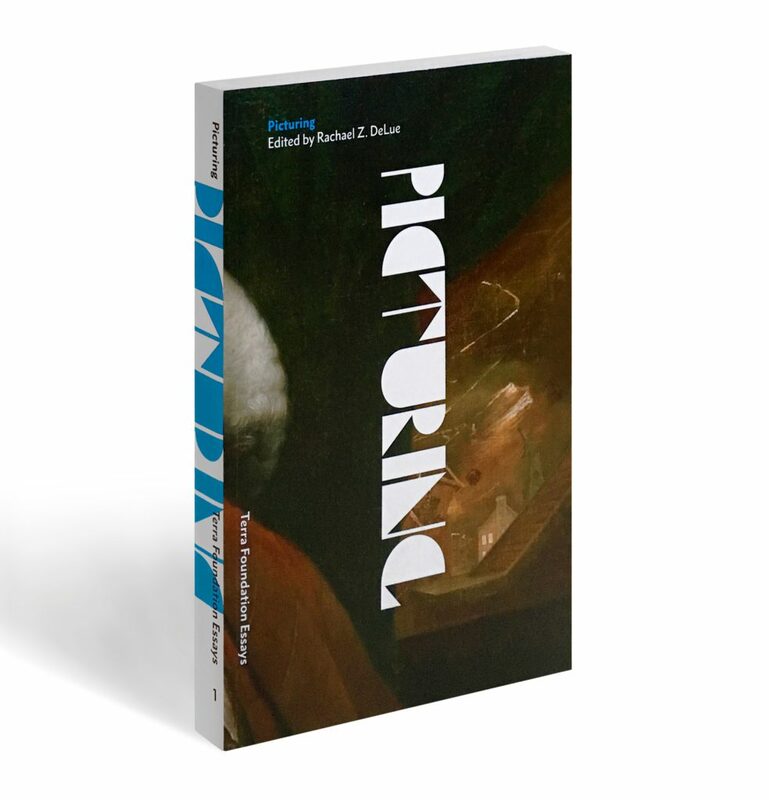 The first volume in a new series on critical concerns in the history of American art, Picturing brings together essays by a distinguished international group of scholars who discuss the creation and consumption of images from the early modern period through the end of the twentieth century. Some of the contributions focus on art critical texts, like Gertrude Stein’s portrait of Cézanne, while others have as their point of departure particular artworks, from a portrait of Benjamin Franklin to Eadweard Muybridge’s nineteenth-century photographs of the California Coast. Works that addressed images and image making were not confined to the academy; they spilled out into poetry, literature, theater, and philosophy, and the essays’ considerations likewise range freely, from painting to natural history illustrations, travel narratives, and popular fiction. Together, the contributions demonstrate a rich deliberation that thoroughly debunks the notion that American art is merely derivative of a European tradition. Rachael Z. DeLue is a professor in the Art & Archaeology Department at Princeton University. She specializes in the history of American art and visual culture, with particular focus on landscape representation, intersections between art and science, and the visual culture of race and race relations in the United States. DeLue is currently at work on a study of Charles Darwin’s diagram of evolution in On the Origin of Species, as well as a book about impossible images. Her publications include George Inness and the Science of Landscape (2004), Landscape Theory (2008), co-edited with James Elkins, and Arthur Dove: Always Connect (2016). Michael Gaudio is Associate Professor in the Department of Art History at the University of Minnesota. He specializes in the visual arts of early modern Europe and the Atlantic world, considering the visual arts in relation to early modern science, religion, and cultural encounter. Gaudio is the author of Engraving the Savage: The New World and Techniques of Civilization (University of Minnesota Press, 2008) and is currently completing a study of the hand-made bible concordances created by the seventeenth-century English Protestant community at Little Gidding, England. Other publications consider landscape painting in nineteenth-century America and the history of scientific illustration. Ulla Haselstein is Chair of the Literature Department at the John F. Kennedy Institute of North American Studies at the Freie Universität, Berlin. Her research focuses on American literary modernism and postmodernism, and literary theory. Haselstein is currently completing a book on Gertrude Stein. Her most recent book publications in English include several co-edited volumes, among them The Cultural Career of Coolness: Discourses and Practices of Affect Control in European Antiquity, the United States, and Japan (Lexington Books, 2013), The Pathos of Authenticity: American Passions of the Real (Winter, 2010), and The Power and Politics of the Aesthetic in American Culture (Winter, 2007). Matthew C. Hunter is a professor in the Department of Art History and Communication Studies at McGill University. His research focuses on art and architecture of the eighteenth century with special attention to intersections among art, science, and technology. His publications include Wicked Intelligence: Visual Art and the Science of Experiment in Restoration London (University of Chicago Press, 2013) and The Clever Object (Wiley, 2013), co-edited with Francesco Lucchini. He is currently writing a book on Joshua Reynolds’s experimental chemistry and the longer history of temporally evolving chemical objects in the British Enlightenment. Elizabeth W. Hutchinson is Associate Professor in the Department of Art History and Archaeology at Barnard College-Columbia University. Her areas of specialization include North American art through World War I and feminist and cultural theory. She is particularly interested in the relationship between the visual culture of a variety of North American groups and its viewers and the ongoing impact of the colonial history of the Americas. Hutchinson is the author of The Indian Craze: Primitivism, Modernism, and Transculturation in American Art, 1890–1915 (Duke University Press, 2009), and her current research focuses on the issue of sovereignty over land and self-representation, considering among other things portraits of Native Americans from the colonial period to the twentieth century. Robin Kelsey is the Shirley Carter Burden Professor of Photography in the Department of History of Art & Architecture at Harvard University. A specialist in the histories of photography and American art, he has published on such topics as survey photography, landscape theory, ecology and historical interpretation, and the nexus of art and law, and he is currently researching a book about photography in Cold War America. Kelsey is the author of Archive Style: Photographs and Illustrations for U.S. Surveys, 1850–1890 (University of California Press, 2007) and Photography and the Art of Chance (Harvard University Press, 2015). This volume, the second in the Terra Foundation Essays series, aims to open a dialogue on scale in American art history by showcasing the new forms of historical and theoretical awareness that a focus on the subject can bring. The literature on scale—both in the American art field and in art history generally—is scattered, fragmentary, inconsistent, and insufficiently theorized, despite its profundity as a social and cultural metric. Scale is the aspect of material production that has been most spectacularly evacuated from contemporary art history and its cognate disciplines, dependent as they are on photographic and digital reproduction and the heedless expansions and contractions that these technologies allow. To reintroduce scale as a central facet of art-historical thinking is, therefore, to raise questions and problems that have been largely invisible to the discipline in the past half-century. Attending to scale forces, in particular, a heightened recognition of the properties of materials and to the kind of technical knowledges held by makers but (usually) not by historians. Matter is not infinitely scalable; inasmuch as attention to scale forces attention to this resistance and reality of matter, it is also crucial as a bulwark against uncritical celebration of the increasingly rapid dematerializations of digital global culture. With texts addressing subjects as varied as the viewer’s physical relationship to Barnett Newman’s abstract canvases, the arduous cross-disciplinary engineering behind the sculpting of Mount Rushmore, and the charged significance of liberty poles in the landscape of eighteenth-century New York, Scale argues for a reconsideration of the specificity of scalar relationships in American art and visual culture and the original material and political insights such a reading reveals. Glenn Adamson is a curator and theorist who works across the fields of design, craft and contemporary art. He was until March 2016 the Director of the Museum of Arts and Design, New York. He has previously been Head of Research at the V&A, and Curator at the Chipstone Foundation in Milwaukee. His publications include Art in the Making (2016, co-authored with Julia Bryan Wilson); Invention of Craft (2013); Postmodernism: Style and Subversion (2011); The Craft Reader (2010); and Thinking Through Craft (2007). Wendy Bellion is associate professor of art history at the University of Delaware. She is the author of Citizen Spectator: Art, Illusion, and Visual Perception in Early National America (University of North Carolina Press, 2011), which was awarded the Charles C. Eldredge Prize for Outstanding Scholarship in American Art by the Smithsonian American Art Museum. She has lectured and published widely on the art of the British Atlantic world and early modern Americas, and she has held fellowships with organizations including the Terra Foundation for American Art, the NEH, and the Center for Advanced Studies in the Visual Arts. Her current book project, What Statues Remember, explores issues of iconoclasm, reenactment, and historical memory in New York City. Wouter Davidts lives and works in Antwerp, Belgium. He is adjunct professor at the Department of Architecture & Urban Planning, Ghent University, and teaches at the Royal Conservatory, Antwerp. He is author of Bouwen voor de Kunst? 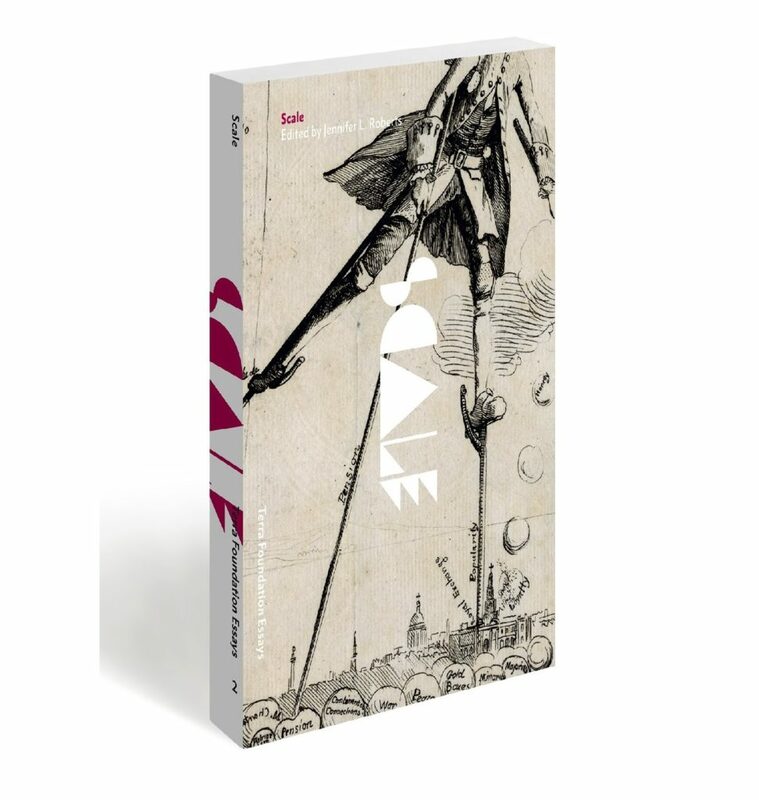 (A&S Books, 2006) and coeditor of The Fall of the Studio (Valiz, 2009), CRACK: Koen van den Broek (Valiz, 2010), and Luc Deleu—T.O.P. office: Orban Space (Valiz, 2012). He curated Abstract USA 1958–1968: In the Galleries at the Rijksmuseum Twenthe in Enschede (2010) and, most recently, The Corner Show at Extra City Kunsthal, Antwerp (2015). He is currently working on a book-length project on size and scale in postwar American art entitled Larger than the Body, for which he received a Terra Foundation Research Travel Grant in 2015. Darcy Grimaldo Grigsby is professor of the history of art and the Richard and Rhoda Goldman Distinguished Professor in the Arts and Humanities at the University of California, Berkeley. She is author of Extremities: Painting Empire in Post-Revolutionary France (Yale University Press, 2002); Colossal: Engineering the Suez Canal, Statue of Liberty, Eiffel Tower and Panama Canal (Periscope Publishing, 2012), which concerns Franco-American rivalries of scale; and Enduring Truths: Sojourner’s Shadows and Substance (University of Chicago Press, 2015). Her current book in progress, Creole Looking: Portraying France’s Foreign Relations in the Nineteenth Century, examines France’s relationship to the Caribbean and Americas. Christopher P. Heuer is acting Director of the Research and Academic Program at the Clark Art Institute and faculty at Williams College. He is the author of The City Rehearsed: Object, Architecture and Print in the Worlds of Hans Vredeman de Vries (Routledge, 2009) and co-author of Vision and Communism (The New Press, 2011). The recipient of Fulbright, Getty, Mellon, Kress, Humboldt, and CASVA fellowships, he taught for many years at Columbia and Princeton Universities. Heuer remains a founding member of the media collective Our Literal Speed, based in Selma, Alabama. His new book on the Renaissance arctic, Into the White, is forthcoming from Zone Books/MIT Press. Jennifer L. Roberts is the Elizabeth Cary Agassiz Professor of the Humanities at Harvard University. Her current research and teaching is focused on craft and materiality theory, print studies, and the history and philosophy of science. She is the author of three books spanning American art from the 1760s to the 1970s: Mirror-Travels: Robert Smithson and History (Yale University Press, 2004), Jasper Johns/In Press: The Crosshatch Works and the Logic of Print (Harvard Art Museums/Hatje Cantz, 2012), and Transporting Visions: The Movement of Images in Early America (University of California Press, 2014). She is also coauthor of the Prentice Hall textbook American Encounters: Art, History, and Cultural Identity (2007). Joshua G. Stein is founder of the Los Angeles–based studio Radical Craft and the codirector of the Data Clay Network, a forum for exploring the interplay between digital techniques and ceramic materials. Radical Craft (www.radical-craft.com) operates as a laboratory for testing how traditional phenomena (from archaeology to craft) can inflect the production of urban spaces and artifacts, evolving newly grounded approaches to the challenges posed by contemporary virtuality, velocity, and globalization. He has taught at the California College of the Arts, Cornell University, SCI-Arc, and the Milwaukee Institute of Art & Design. He was a 2010–2011 Rome Prize Fellow in Architecture and is currently professor of architecture at Woodbury University. Jason Weems is associate professor of American art and visual culture at the University of California, Riverside. 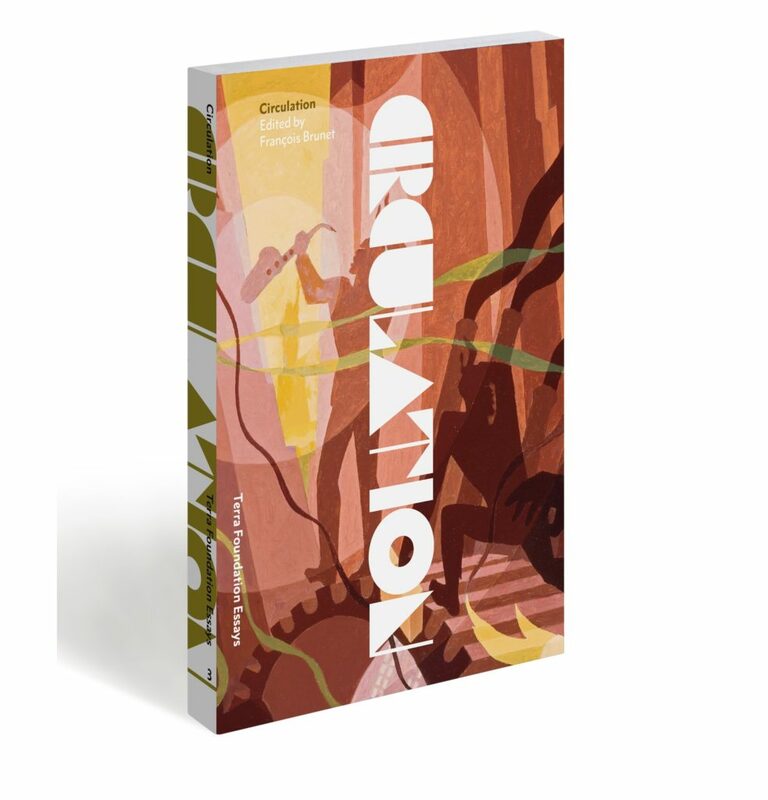 He is the author of Barnstorming the Prairies: How Aerial Vision Shaped the Midwest (University of Minnesota Press, 2015) and is currently working on the intersection of art and archaeology in the Americas. He is also curator of the 2015 exhibition Interrogating Manzanar: Photography, Justice, and the Japanese American Internment. He has held fellowships from the Hellman Foundation, the Crystal Bridges Museum of American Art, the Smithsonian American Art Museum, the National Air and Space Museum, the Terra Foundation for American Art, ACLS, the University of California, the University of Michigan, and Stanford University. Circulation as a category for art history is unquestionably rooted in our contemporary context, especially in the culture of internet and the digital image, and the ever-increasing conversation between art history and visual culture. However, since the eighteenth century, circulation—understood as a multimodal phenomenon: spatial, temporal, commercial, international, intercultural, intermedial—has been a shaping factor in the history of the arts of the United States. This volume, the third in the Terra Foundation Essays series, seeks to map out some of the many planes and directions in which American art works and pictures have existed and produced meaning by moving, while keeping in mind the many failures and differences of circulation. Broad, transversal investigations focusing on specific objects of various scope, rather than a more formalized catalogue of media, genres, periods, or artists have been privileged in an effort to indicate rather than cover the endless diversity but also convergent pervasiveness of circulations. A historian of images and American culture, François Brunet teaches at Université Paris Diderot, where he serves as chair of the Laboratoire de recherches sur les cultures anglophones, and is a fellow of the Institut Universitaire de France. His publications include La naissance de l’idée de photographie (new ed., Presses universitaires de France, 2011), La photographie histoire et contre-histoire (Presses universitaires de France, 2017), and Photography and Literature (Reaktion Books, 2009). He has curated the exhibitions Images of the West: Survey Photography in French Collections, 1860–1880 (Musée d’Art Américain Giverny, 2007) and Daguerre’s American Legacy: Photographic Portraits from the Wm. B. Becker Collection (Bry-sur-Marne, Fall 2013; MIT Museum, 2014). He has also published about 150 articles and reviews and is a member of the editorial boards of American Art and History of Photography. His current projects focus on the international circulation of images and objects in the nineteenth century and on the photographic imagination of history. Thierry Gervais is assistant professor at Ryerson University and head of research at the Ryerson Image Centre (RIC), Toronto. He received his PhD from the École des hautes études en sciences sociales (Paris) in 2007. He was the editor in chief of Études photographiques from 2007 to 2013 and is the author of numerous articles on photojournalism in peer-reviewed journals and scholarly publications. He was the curator of the exhibition Dispatch: War Photographs in Print, 1854–2008 (RIC, Fall 2014) and the cocurator of the exhibitions Views from Above (Centre Pompidou-Metz, Spring 2013), Léon Gimpel (1873–1948), The Audacious Work of a Photographer (Musée d’Orsay, Paris, Spring 2008), and L’événement: Les images comme acteurs de l’histoire (Jeu de Paume, Paris, Winter 2007). He organized the symposia “The ‘Public Life’ of Photographs” (RIC, 2013), “Collecting and Curating Photographs: Between Private and Public Collections” (RIC, 2014), and “Photography Historians: A New Generation?” (RIC, 2015). He edited The “Public” Life of Photographs (RIC/MIT Press, 2016), and his book (in collaboration with Gaëlle Morel) titled La fabrique de l’information visuelle: Photographies et magazines d’actualité (Textuel, 2015) will be published in English by Bloomsbury in 2017. Tom Gunning is the Edwin A. and Betty L. Bergman Distinguished Service Professor in the Department of Cinema and Media Studies at the University of Chicago. He is the author of D. W. Griffith and the Origins of American Narrative Film (University of Illinois Press, 1986), The Films of Fritz Lang: Allegories of Vision and Modernity (British Film Institute, 2000), and over 150 articles on early cinema, film history and theory, avant-garde film, film genre, and cinema and modernism. With André Gaudreault, he originated the influential theory of the “cinema of attractions.” In 2009, he was awarded an Andrew A. Mellon Distinguished Achievement Award, the first film scholar to receive one, and in 2010, he was elected to the American Academy of Arts and Sciences. He is currently working on a book on the invention of the moving image. J. M. Mancini is senior lecturer in the Department of History at Maynooth University (Ireland). Her publications include Architecture and Armed Conflict (edited with Keith Bresnahan, Routledge, 2015); Pre-Modernism: Art-World Change and American Culture from the Civil War to the Armory Show (Princeton University Press, 2005), winner of the Smithsonian American Art Museum’s 2008 Charles C. Eldredge Prize for Outstanding Scholarship in American Art; and essays in American Art, American Quarterly, Critical Inquiry, and other journals. She is currently completing a book entitled Art and War in the Pacific World (contracted to the University of California Press). Frank Mehring is professor of American studies at Radboud University, Nijmegen. He teaches twentieth- and twenty-first-century visual culture and music, theories of popular culture, transnational modernism, and processes of cultural translation between European and American contexts. His publications include Sphere Melodies (Metzler, 2003) on Charles Ives and John Cage, Soundtrack van de Bevrijding (Vantilt 2015), and The Mexico Diary: Winold Reiss between Vogue Mexico and the Harlem Renaissance (wvt: 2016). In 2012, he received from the European Association for American Studies the biennial Rob Kroes Award, which recognizes the best book-length manuscript in Europe in American studies, for his monograph The Democratic Gap (Winter, 2014). He has organized the first international symposium on Winold Reiss in Berlin (2011) and co-curated exhibitions on Winold Reiss (2012), the Marshall Plan (2013), and Liberation Songs (2014) in New York, Nijmegen, and The Hague. His current project focuses on the democratic vision of Marshall Plan photography and exhibitions. Hélène Valance is assistant professor at the Université de Franche-Comté. She recently published a book on nocturnes in American art at the turn of the twentieth century entitled Nuits américaines: L’art du nocturne aux États-Unis, 1890–1917 (Presses de l’université Paris-Sorbonne, 2015). The book received the Terra Foundation–Yale University Press American Art in Translation Book Prize, and will be translated and published by Yale University Press in 2018. Her current projects include a collection of essays on destruction in American art and a book-length study of the reenactments of American myths and historical events in nineteenth- and twentieth-century visual culture. In his essay “Experience” (1844), Ralph Waldo Emerson writes that human beings, by their nature, cannot fasten onto life as lived. It escapes us as it happens. If this be so, how much more unlikely would it be that experience might make it into a work of art? And why, one could add, should one even want such presence to be there? The run of scholarship in American art in the last twenty to thirty years has assumed that works of art are coded—that they are constructed—and has analyzed them accordingly, often with salutary results. Yet, without discounting the matrix of codes and the other structures of distance and mediation that govern the production and reception of artifacts, Experience, the fourth volume in the Terra Foundation Essays series, explores the possibility of immediacy: the idea that we can sense the past directly in an artifact. Emphasizing the sensibility of the interpreter, the techniques of art historical writing (its affinity with fiction, its powers of description), and relying on the emotional charge—the punctum—that certain representations can deliver, this volume delves into an ongoing life of sensuous experience in seven different American eras and objects. Michael Amico is a PhD candidate in American studies at Yale University. Through a combination of material culture studies, place-based research, and narrative history, he studies how emotions from the past continue to unfold in the present. His dissertation—“The Forgotten Union of the Henrys: A True Story of the Peculiar and Rarest Intimacy of the American Civil War”—is a narrative-driven microhistory that traces how Henry Trumbull and Henry Camp of the Tenth Connecticut Regiment were “united in well-nigh perfect oneness” during their two years of service together. It explores how the political ideal of equality expressed in the trope of friendship was negotiated at the level of individual experience. He is also the author, with Michael Bronski and Ann Pellegrini, of “You Can Tell Just by Looking”: And 20 Other Myths about LGBT Life and People (Beacon Press, 2013). The book was a finalist for the Lambda Literary Award in Nonfiction. Lucy Mackintosh is a doctoral candidate at the University of Auckland, New Zealand. Her research examines cultural narratives forged in landscapes throughout Auckland. She has worked as a consultant historian for over fifteen years on historic places, cultural landscapes, and material culture for a number of institutions, including the Auckland Museum, Otago University, Heritage New Zealand, and the Ministry for Culture and Heritage. Alongside her doctoral thesis, she has recently been working on a number of projects related to her research, including a master plan for Cornwall Park and an exhibition at Auckland Museum. She lived in the United States from 2010 to 2012, where she researched the Māori Collection at the Peabody Essex Museum and worked on the Artefacts of Encounter project based in the Museum of Archaeology and Anthropology at the University of Cambridge. Her publications include “Intimate Immensity,” in The Lives of Colonial Objects, edited by Annabel Cooper, Lachy Paterson, and Angela Wanhalla (University of Otago, 2015), and “Holding on to Objects in Motion: Two Māori Musical Instruments in the Peabody Essex Museum,” in Material Culture Review (vol. 74/75, Spring 2012, pp. 86–101). Jennifer Jane Marshall is associate professor at the University of Minnesota–Twin Cities. She is the author of Machine Art, 1934 (University of Chicago Press, 2012), which won the Robert Motherwell Book Award from the Dedalus Foundation in 2013. She is currently writing a monograph on William Edmondson, an investigation of the role of biography in art history, the place of race in American modernism, and the impact of artistic process on aesthetic experience. This project has been supported by a National Endowment for the Humanities grant. Alexander Nemerov is the Carl and Marilynn Thoma Provostial Professor in the Arts and Humanities at Stanford University. His most recent books are Soulmaker: The Times of Lewis Hine (Princeton, 2016) and Silent Dialogues: Diane Arbus and Howard Nemerov (Jeffrey Fraenkel, 2015). His book on the American photographer Ralph Eugene Meatyard, Ralph Eugene Meatyard: American Mystic, was published by Fraenkel in 2017. Nemerov has recently published essays on the photographers Gregory Crewdson, William Eggleston, Bill Yates, and Danny Lyon. In 2017, he delivered the 66th annual Andrew W. Mellon Lectures at the National Gallery of Art. David Peters Corbett is professor of American art and director of the Centre for American Art at the Courtauld Institute, University of London. He has written on American and British art between 1850 and 1950 and is currently completing a book on US urban painting and the landscape tradition from 1880 to 1930. His publications include The Modernity of English Art, 1914–30 (Manchester University Press, 1997), The Geographies of Englishness: Landscape and the National Past, 1880–1940 (Yale University Press, 2002), Anglo-American: Artistic Exchange between Britain and the USA (Wiley-Blackwell, 2012), and An American Experiment: George Bellows and the Ashcan Painters (National Gallery of Art, London, 2011). He has been Terra Foundation Senior Fellow at the Smithsonian American Art Museum and a Leverhulme Senior Research Fellow, and has held visiting positions at Yale, Oxford, Cambridge, and the École normale supérieure in Paris. Between 2007 and 2012, he was editor of Art History. Xiao Situ is a PhD candidate in the history of art at Yale University, where she is completing her dissertation, “Emily Dickinson’s Window Culture, 1830–1886.” She specializes in eighteenth- to mid-twentieth-century visual and material culture in the United States and the United Kingdom, with a particular focus on the intersection of fine arts, interior design, and popular culture. She is also an MAR candidate at Yale Divinity School and the Institute of Sacred Music, where she studies and practices the integration of pastoral care and the arts. As a museum educator at Yale University Art Gallery, she plans and leads programs for youth, families, and individuals with special needs. Her work bridges art-historical scholarship, museum education, and rehabilitative and restorative care. She is currently working on a project about reproductive loss and grief in art. Robert Slifkin is associate professor of fine arts at the Institute of Fine Arts, New York University, where he teaches courses addressing various aspects of modern and contemporary art and culture. He is the author of Out of Time: Philip Guston and the Refiguration of Postwar American Art (University of California Press, 2013), which was awarded the Philips Book Prize. His essays and reviews have appeared in such journals as Artforum, American Art, Art Bulletin, October, and the Oxford Art Journal, and he has been the recipient of fellowships from the Henry Luce Foundation, the Clark Art Institute, the Getty Research Institute, and the Henry Moore Foundation. He is currently working on a new book project entitled The New Monuments and the End of Man: American Sculpture between War and Peace, 1945–1975, which will consider the intertwined histories of sculpture and nuclear war in postwar US culture.